A yoga journal to begin the journey of becoming the best version of yourself. Plant the principles of yoga into your day-to-day life. A yoga journal can bring a depth of awareness that will enrich your yoga experience and enhance every aspect of your life. A journal is another prop – like a block, a belt, a blanket – for you to use in your yoga practice. With a theme of mindfulness, this journal was created to inspire contemplation and connection, and to encourage living in the moment. With more than 60 beautiful pages of questions, teachings, inspiring imagery, and plenty of space to write and reflect, this journaling adventure helps guide you on a journey to becoming the best version of yourself. True wellness is achieved through many small, simple lifestyle changes- in how we eat, sleep, move, connect, and even see the world. Simply enter your info below to download Yoga Off the Mat, a 28-day yoga journal. Jill is a wife, mother of 2, psychologist. She completed her National Academy of Sports Medicine Personal Trainer Certification in 2015 and Yoga Teacher Training in 2016. She is a passionate advocate for wellness, whole living and making time for self care. Jill believes that if our health is to be transformed, the process must begin within. Integration of mind, body and soul makes optimal health possible. She believes that by listening to our body and heart and concentrating on what we need and reacting accordingly we can align our balance, energy and happiness with the foods we eat, how we move the body and how we treat ourselves with care and kindness. Just one more step. Check your inbox for the confirmation email. Once you've confirmed you will receive a link to instantly download the yoga journal, Yoga Off the Mat. 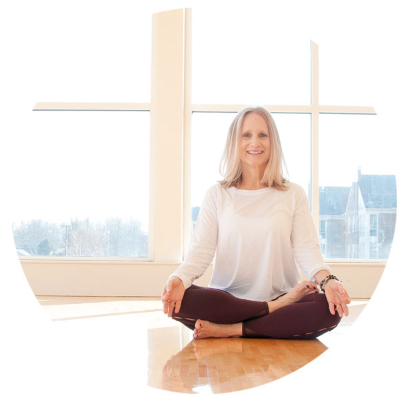 In the meantime, catch up on the latest at Jill Conyers | Yoga + Wellness for the Body and Mind and browse the Yoga + Wellness Shop.